I have had the pleasure to function as Chairman for the Swedish John Cowper Powys Society – John Cowper Powyssällskapet – during two periods; from the beginning in 1999 to 2004, and then again from 2005 to 2011. Most of the Swedish members live in the Stockholm area, but even if I myself am located in the South, in Lund, I think I have a fair overview of the society and its members. The task as Chairman has always been facilitated by the fellow members and the Board, and for several years by our Honorary Chairman and Founder, the late Sven Erik Täckmark. 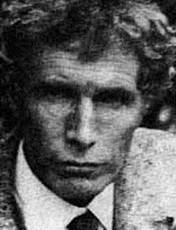 There are many happy memories that we can share with each other, and there has indeed been a lot of good work done for the promotion of John Cowper Powys and his books. The important outcomes are of course our bilingual newsletter, the Swedish editions of The Meaning of Culture and The Autobiography, and all the conversations we have had, when gathered in Sven Erik’s little flat in Stockholm or at other places, or by telephone and by mail, now mostly electronically delivered. But it is a fact that the activities have diminished lately. It has been hard to arrange meetings and run the ordinary society errands and even to collect the members fee. One of the reasons could be that Sven Erik no longer is the natural epicentre and source of energy for us; in fact the last time the Swedish Powysians were gathered in some numbers was at the funeral service for Sven Erik. Be that as it may, but several of us have discussed how to start anew and find new forms for our interest in John Cowper Powys. That is why the members at the last annual meeting, June 11th in Stockholm, voted and finally confirmed a change, proposed by the Board. What we want to do is to reorganise our society into a more informal one; thus letting go of Board functions as e. g. Treasurer, and also giving up the efforts to fund our activities with members fees. Instead we are working towards what in Swedish is called ”vänförening”, i. e. ”a union of friends”. A newsletter was regularly published by the Society. Thirteen newsletters are available. è The newsletters are bilingual, Swedish and English, starting with issue no 7. This page updated 4 april 2012.